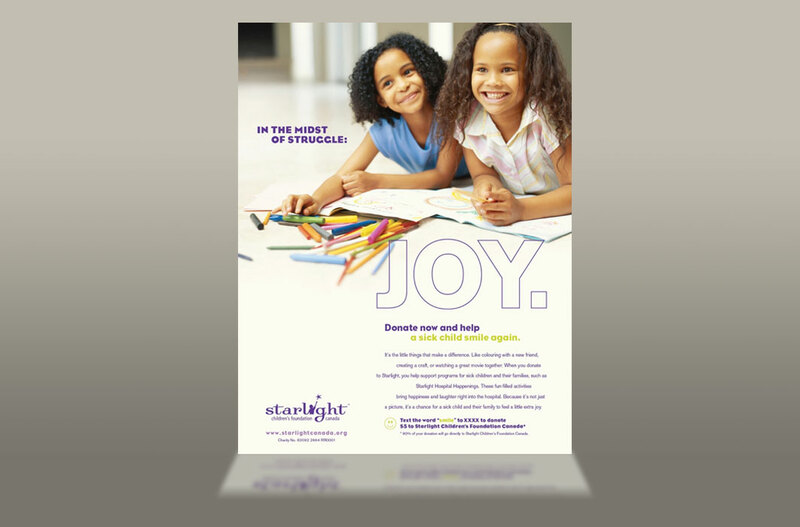 Often overshadowed by other well-known children’s charities, Starlight Canada struggled to make lasting connections with potential donors looking to make the biggest impact possible with each donation. 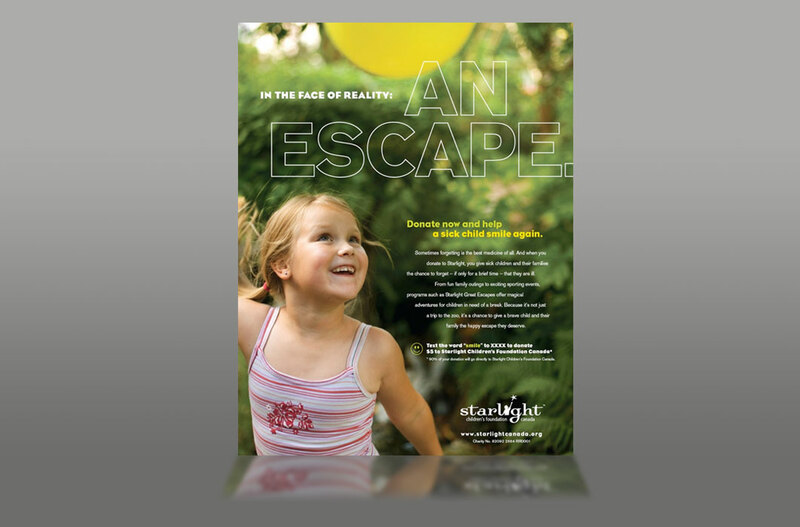 New branding and positioning was created to revitalize the brand, and make an immediate emotional connection. 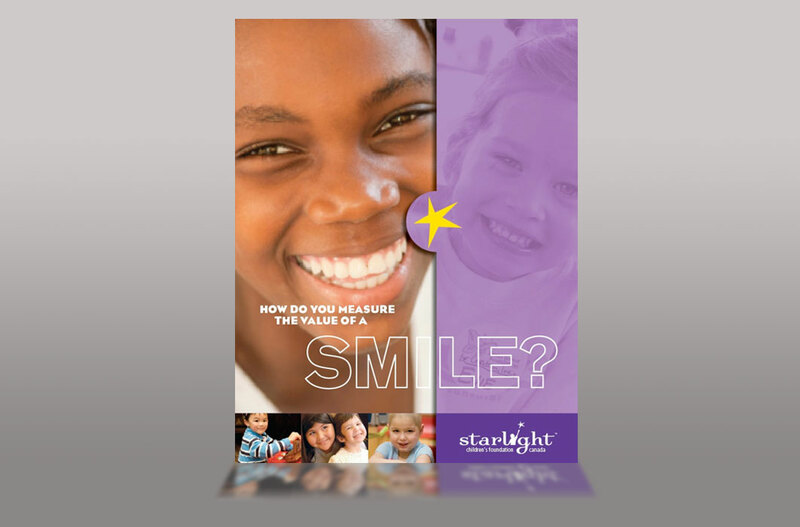 Bright and positive images that captured the moment that children experienced Smile Therapies replaced emotionally draining images of loss and sorrow. 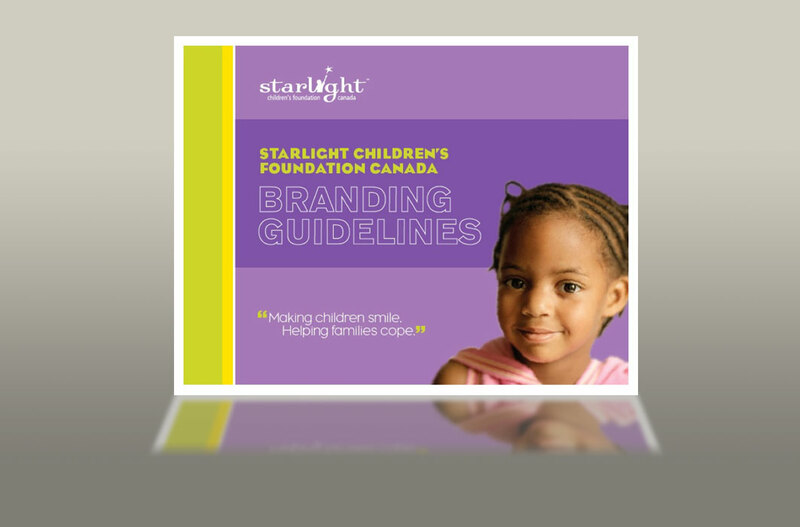 Potential donors could feel good about directing more of their donations to helping brighten the faces of children across Canada through a myriad of fun-based programs. 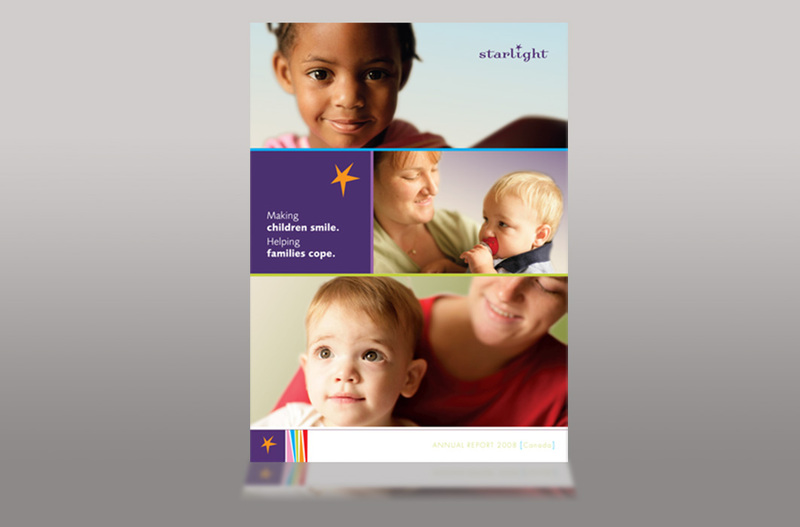 The new branding was launched with advertising, sponsor marketing, annual reports, corporate philanthropic events, national fundraisers, national radio, online advertising and a new website.